This week we are visiting the topic of archaeological time and how two scientific dating methods have vastly enhanced our understanding of past human events. It was principally through the research of Willard F. Libby (1908-1980) (Anderson et al. 1947) that the method of radiocarbon dating, an accurate, absolute method of dating organic substances from archaeological, geological and environmental contexts, was developed. A key thresh-hold leading to the radiocarbon dating method was the discovery of the Carbon 14 atom’s half-life of 5,730 years*. 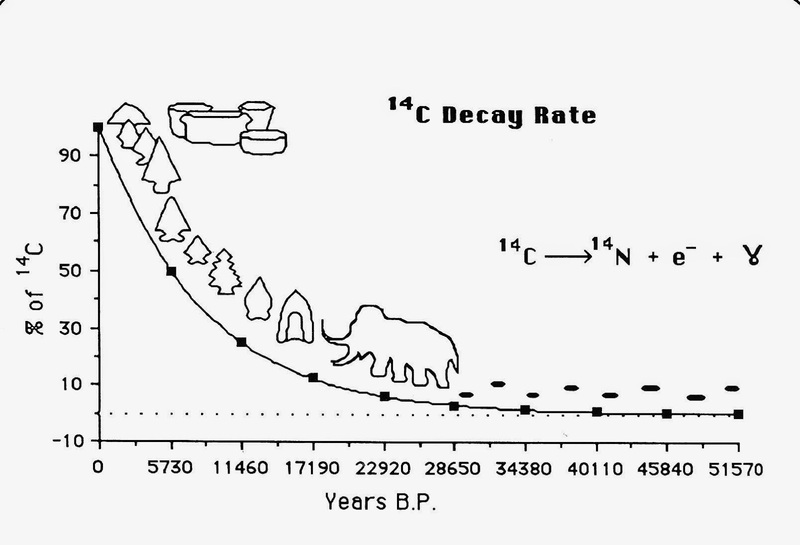 By comparing the known decay rate of C14 with the amount of C14 remaining, Libby was able to calculate the age of the sample up to approximately 45,000 to 50,000 years. In 1948, following this breakthrough, Libby and a committee of anthropologists and geologists under the sponsorship of the American Anthropological Association tested different organic materials of known ages. For example, the funeral boat cedar wood belonging to the Egyptian pharaoh Sesostris, who died circa 3800 years B.P. (before the present). Libby’s radiocarbon age confirmed the boat’s known age at 3,800 +/-180 B.P. (Arnold and Libby 1949; Libby 1952; Poole 1961). Until Libby’s breakthrough discoveries in the radiocarbon dating process scientists could only estimate the age of archaeological/geological samples through relative means, such as stratigraphy and an artifact’s association with something else. For his pioneering research in the radiocarbon dating method Willard Libby was awarded the Nobel Prize in 1960. 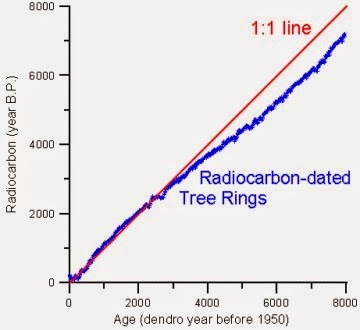 Since the discovery of radiocarbon dating its boundaries and accuracy has been enhanced by other scientific disciplines, especially dendrochronology or the study of tree ring patterns (Douglass 1919). Astronomer Andrew E. Douglass (1867-1962) is considered the father of dendrochronology. His scientific approach to correlating annular tree ring growth with solar (sun spot) activity subsequently led to other branches of multidisciplinary studies involving climate change, human use of, and adaptation to, the natural landscape, geological events, art and building history and other related topics. On point, is that Douglass developed a precise means by which he could bridge history to prehistory by working backward in time using overlapping tree ring patterns observed in the cross sections of wood beams. Much of his sampling took place at archaeological sites where roof beams were preserved in the arid environment of the prehistoric southwest. Since Douglass’ pioneering, work much has been accomplished by dendrochronologists to advance the dating method which currently extends the chronology beyond 13,000 years (Ferguson 1970; Schulman 1956; Stuiver et al 1986). The multidisciplinary approach to dating archaeological samples using C14 and dendrology dating has its limitations and is not the panacea to knowing the exact age of something that has absorbed C14 during its entire life cycle. Fluctuations in the amount of C14, solar radiation, nuclear bomb radiation, volcanic activity etc., to name a few examples, can affect the true C14 age of a sample depending on its age and geographic location and the calibration program(s) used. Radiocarbon laboratories globally have grappled with the problem by developing their own radiocarbon calibration programs and several of these are available online (i.e OxCal and CALPAL). Through diligence and refinement of these techniques, the applications for dating organic samples can only improve. In light of these improvements in dating methods, The State Museum of Pennsylvania reorganized its culture chronology chart for Pennsylvania. 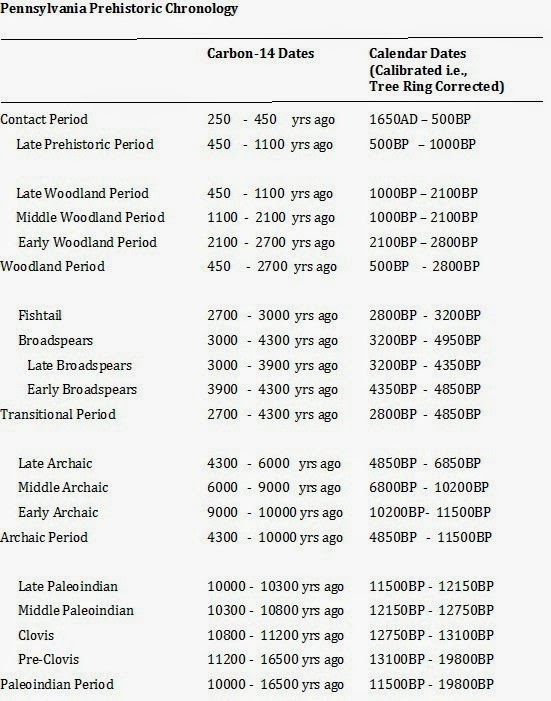 Based on the recalibrated radiocarbon dates that are now available the following table provides our current culture chronology. Ages following AD.1000 are listed as BP (before present). * Note: Calculated Libby half-life of C14 is 5568 years. Recalculated true half-life is 5730 years. Anderson, E.C., W. F. Libby et al. 1949 Age Determination by Radiocarbon Content: Checks with Samples of Known Age. Science 110:678. 1919 Climatic Cycles and Tree Growth. Vol. 1 No. 289, Washington, D.C. Carnegie Institution of Washington. 1970 Dendrochronology of Bristlecone Pine, Pinus arisata. Proceedings of the Twelfth Nobel Symposium, Upsala Sweden, August 11-15, 1969. Almquist and Wiksell, Stockholm. 1952 Radiocarbon Dating. University of Chicago Press. 1961 Carbon – 14 and other Science Methods that Date the Past. Whittlesey House. McGraw-Hill Book Company, Inc.
To an archaeologist, ceramic artifacts have the potential to yield a wealth of information. This is true for both historic and prehistoric sites. Ceramic artifacts are useful to archaeologists not only in determining the age of a site, but can they can also aid in understanding the socio-economic status of individuals or groups of people. The advent of ceramic technology, that is, the act of sourcing and extracting clay, and constructing a container of a desired shape and size and then “firing” it for durability, stands as a major advancement in cultural evolution, and is a distinguishing characteristic of the Woodland Period from that of the earlier Archaic Period. In Pennsylvania, this shift is generally accepted to have gradually taken place over a period of time 2,750 to 3,250 years ago. 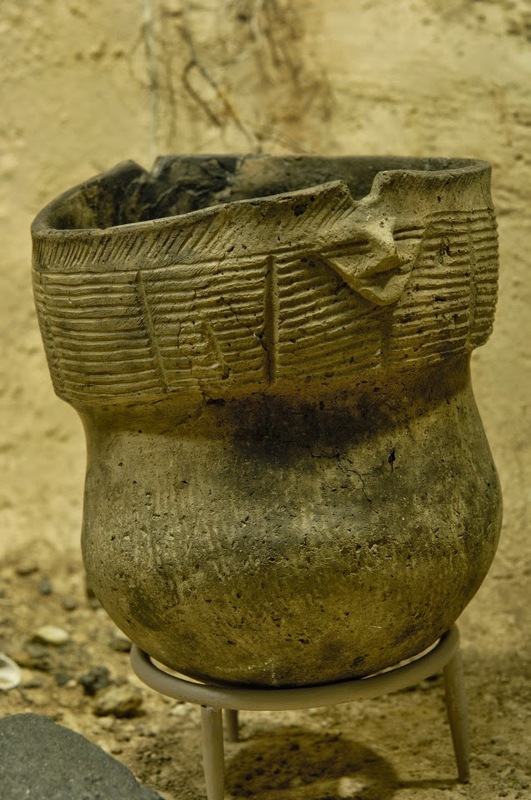 In conjunction with other dating methods such as carbon 14, differences in vessel form, decoration, and temper allow archaeologists to further differentiate the Woodland period into Early, Middle and Late sub-periods, and further still into distinct phases within a particular geographic/cultural region. Ceramics can do more than just aid archaeologists in determining the age of a site. Vessel form can infer function. For example, compare a fine porcelain tea cup to a thick-walled stoneware storage crock. Even without knowing their indended purpose, one could assume they fulfill very different functions just by visual inspection. Also, questions of site type (domestic, commercial, industrial etc.) can at least begin to be answered by incorporating ceramic data into a comprehensive artifact analysis. 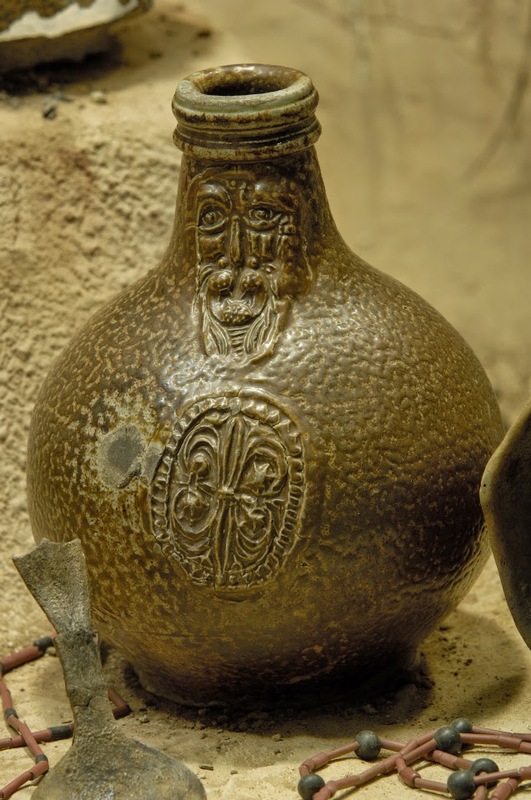 In a prehistoric context, large and oversized ceramic containers are indicative of storage and communal activities, while more modest size vessels suggest use by a family or individual for cooking and consumption. Historic period ceramics have the potential for even more refined analysis for the archaeologist by virtue of the overwhelming variety of forms and styles of decoration accompanied with maker’s marks and detailed records of dates of manufacture for specific wares. However, not all ceramics are created equal, and some are less useful to archaeologists than others. Plain lead-glazed red earthenware is not a particularly helpful ceramic type in dating archaeological remains as potters began producing this basic utilitarian ware shortly after colonization and nearly identical wares are still made to this day. That is not to say all red earthenware is indistinguishable, just that its ubiquity creates complication and can limit its usefulness. An example of a ceramic type that has a narrow date range of manufacture, and therefore can be very useful in dating sites or features (assuming the context is valid), is an English ceramic know as Scratch blue salt-glazed stoneware. 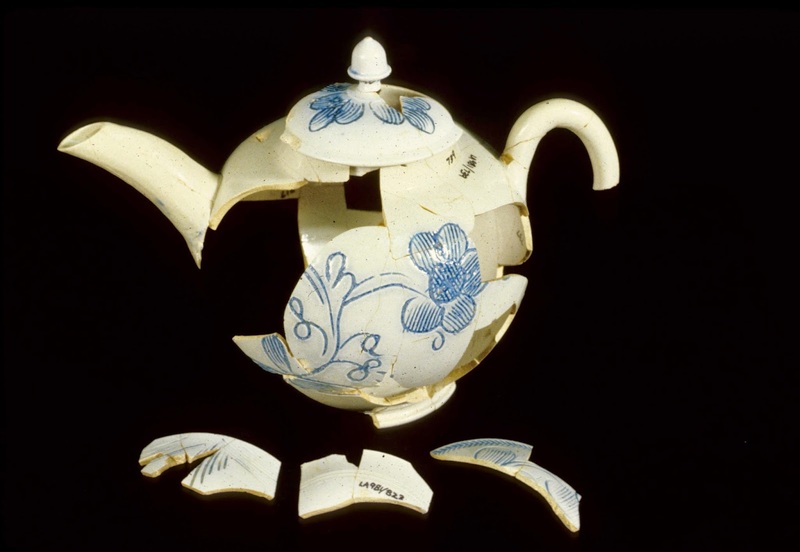 Records indicate this specific type of ceramic was only in production from 1744 – 1775. Scratch blue salt-glazed stoneware is also considered to be a more refined ceramic and its presence on an archaeological site would be associated with an individual or family with a degree of elevated status in society. Ceramics have played a vital role in people’s lives for thousands of years, and will continue to play an important role going forward. Obvious and everyday ceramics include table and cookwares and all manner of architectural elements (floor, roofing, fireplace, bathroom). Less obvious examples include industrial applications such as resistors in computer circuitry and automotive components. Even the underbelly heat shield of the recently retired Space Shuttle is actually a high-tech ceramic tile skin. As archaeologists attempt to understand people's past behavior, they are keen to realize the potential store of information that ceramic analysis provides. We hope this brief essay encourages you to dig deeper into the world of ceramics, a world that helps us preserve the past for the future.